Emily Kay Rice is an abstract artist from St. Louis, Missouri. She has worked to develop her own artistic technique by joining elements of fluid art and graffiti, together. Emily is working to further the exploration of her developing style, as she takes raw emotion of trauma and memory repression, and gives it a visual representation in paint. 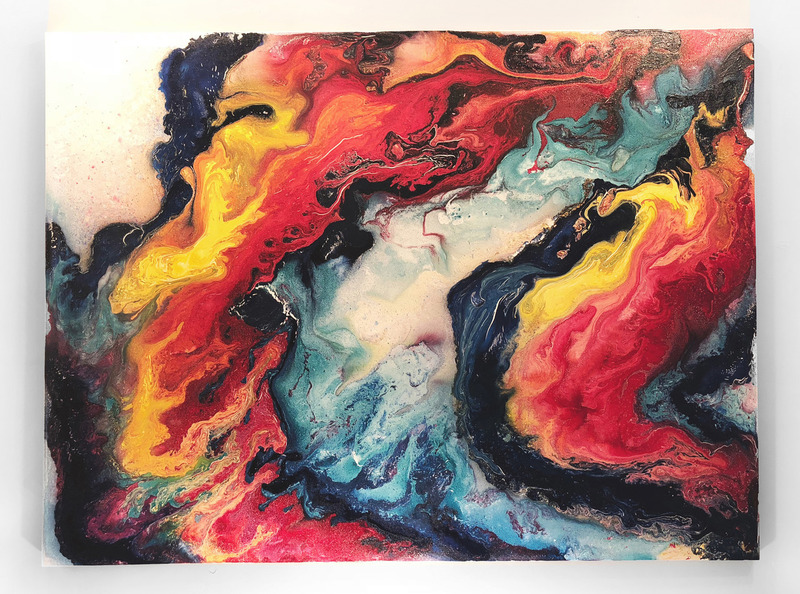 Emily’s work is multifaceted, ranging from a variety of mediums with use of spray paint manipulation, she has also worked in the realms of abstract painting, street art, graphic design, and illustration.